In the fall of 1781, Captain Jabez Deming of the Continental Army awaited orders to march with his patriot soldiers against the British Troops of turncoat Benedict Arnold. 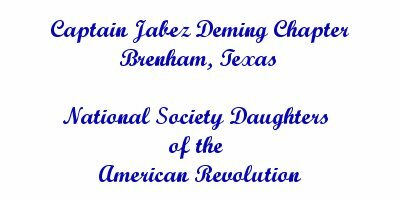 One hundred and thirty five years later, on November 4, 1916, the young Captain’s courageous service was memorialized with the founding of The Captain Jabez Deming Chapter, Brenham, Washington County, Texas, Daughters of the American Revolution. 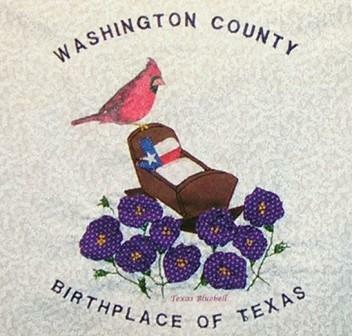 Chapter meetings are held the 4th Tuesday of each month, September through May (except December) at 11:45 a.m. Contact us for meeting or membership information.